Daniel Suarez is the author of the New York Times bestseller Daemon, Freedom(TM), Kill Decision, Influx, and Change Agent. A former systems consultant to Fortune 1000 companies, his high-tech and sci-fi thrillers focus on technology-driven change. He lives in Los Angeles. "A gripping and realistic near-future thriller." "Thoroughly researched and brilliantly written, Daniel Suarez integrates the technology, intrigue, chaos and the human drama of the next ‘giant leap’ with rare scientific and operational literacy. Haunting, bold and inspirational, this deep space tale resonates on every level. For me, a twenty-two year NASA veteran in direct mission support, Delta-v captures the very essence of exploration." 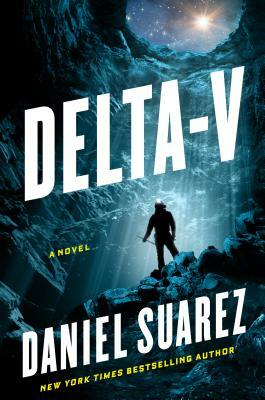 "[Daniel Suarez] is the best author of tech fiction since Bruce Sterling and Neal Stephenson." "Suarez is the Jules Verne of the digital age." "This concluding volume crackles with electrifying action scenes and bristles with intriguing ideas about a frightening, near-future world. . . . The two books combined form the cyberthriller against which all others will be measured." "So frightening, even the government has taken note." "A sinister, propulsive story . . . It raises the stakes to catastrophic levels." "Does for surfing the web what Jaws did for swimming in the ocean . . . both entertaining and credible." "Ambitious . . . I came away from this novel with a . . . new fear of computer capability." "Fiendishly clever . . . an almost perfect guilty-pleasure novel."